You are here: Home / Coffee and Health / Coffee Meth Myth? What the Internet sorely needs these days is a paranoia-inducing urban myth. A year ago, one struck close to home for many coffee-drinking travelers. Not surprisingly, bloggers loved this one. In February and March, the story made a bit of a ripple in the blogosphere, spurring intense back-and-forth in the comment sections. Could meth really be manufactured in a mini-coffee pot? Even if it could, would anybody cook it up in a hotel room? As is the nature of the news/blog cycle, the story made a ripple, then faded from discussion a few weeks later. There was little in the way of follow-up from conventional news media, and bloggers moved on to other subjects. And so a year after the news stories were reported, the question remains. Was this just crass sensationalism, or should hotel guests be concerned about brewing coffee in their rooms? Jim Wingo said the story is legit. 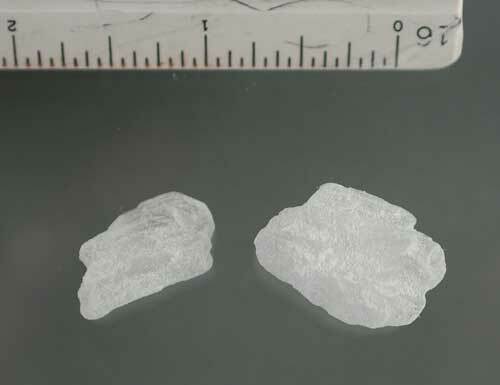 A sergeant with the Missouri State Highway Patrol, Wingo said it’s not only theoretically possible to cook meth in a small coffee pot, but a reality he’s come across on the job. “I’ve seen it many times,” Wingo said – both instances where the meth was cooked in a coffee pot, or the carafe has at least been used as glassware. Roger Lake of the Washington State Narcotics Investigators Association said he never saw any evidence of coffee-makers being used to make meth, but he doesn’t have any difficulty believing they could be put to such use in a hotel room. “It’s not far-fetched at all, because a lot of people go to hotels [to cook meth],” he said. The cold-cook “Nazi” method and the red phosphorous (“Red P”) method of manufacturing methamphetamine could both transpire in a miniature coffee-maker, said Lake, co-author of The Meth Prevention Cookbook. “All it takes is a vessel to cook it in,” said Lake. A plastic bucket, a soda-pop bottle, or a glass carafe from a coffee-maker would do the trick. Heating the ingredients isn’t even necessary, although it will speed up the process and result in a higher-quality yield. In fact, a coffee-maker is an ideal vessel for the Nazi method, according to an Oklahoma Narcotics Officers Association report on red phosphorus methamphetamine labs by Detective Kurt Short on the Lawton, Okla. Police Department. The Nazi method typically produces only one- or two-ounce quantities, enough for personal use, small enough for the mini coffee-maker. 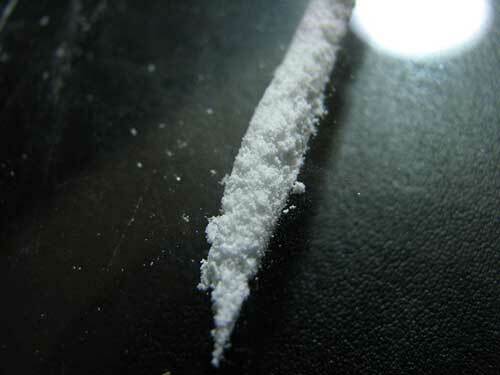 Even if methamphetamine can be manufactured in a mini-coffee carafe, why would anybody do it in a hotel or motel? The byproduct of meth manufacturing is legendarily toxic and smelly – Wouldn’t a hotel-room meth bake be obvious to anybody within a mile of the room? The Nazi method gives off an ammonia odor during the later phases, but it’s comparatively faint. “You can smell it, but it dissipates quite rapidly,” Lake said. “If it’s done correctly, the odor can be eliminated,” Wingo said. The same can conceivably go for visual evidence. The Huntsville, Ala. article says that coffee pots used to cook methamphetamine will have a dark reddish-orange stain. In Washington State, Lake said, the manufacturing of meth in personal-use labs is way down. That’s also been the national trend since 2004, according to the National Drug Intelligence Center’s 2008 Methamphetamine Threat Assessment. It’s a startling decline. From 2004 through 2007, the number of meth lab seizures in the U.S. each year fell nearly 80 percent. The lawless, law-abiding and law enforcement alike attribute this trend to arrests of meth manufacturers, and the crackdown on wholesaling precursor chemicals. The U.S. Combat Methamphetamine Epidemic Act of 2005 imposed heavy regulations on the sale of ephedrine, pseudoephedrine and phenylpropanolamine products that could be used in cooking meth. This means that narcotic drug production, like many of the more legal jobs, has been outsourced. Obtaining the necessary ingredients became far more difficult in the U.S., even for small-scale and personal-use manufacturers. Methamphetamine can indeed be cooked in a coffee carafe. Meth is sometimes cooked in motels or hotels. It wouldn’t always be possible to look at a carafe and determine whether it was used to cook meth. That’s enough to make Wingo proceed with caution. He’s often on the road instructing law enforcement officials about combating meth. “I tell people in my classes that I don’t make coffee in my room,” Wingo said. When he’s in a hotel, he forsakes the convenience of the individual coffee-maker, and will instead go to the hotel lobby or cafe for his coffee. “That’s why I don’t take a bath [in hotels] any more, because guess where all the chemicals were?” Wingo said. Personally, I went from skeptic to skittish regarding this story. Before researching for this article, I had a Grunge-Era image of meth and its production. I questioned whether it was possible to manufacture the drug in something as simple as a coffee-maker. I now have very little doubt that somewhere, at some time, hotel-room coffee pots have been used for this purpose. I also assume, however, that it is an extremely rare occurrence that is becoming rarer with the decline of meth manufacture in the U.S. While trying to refrain from class snobbery, I also have a hunch this almost never happens in four-star hotels. I’m now paranoid enough that I’d go well out of my way for an alternative to a hotel-room coffee maker. I’m not quite paranoid enough to say never – unless, of course, those dark reddish-orange stains are on the coffee pot. Whether they’re caused by meth or not, avoiding anything in a container like that is just common sense. Think twice before using hotel room coffee pots – Story from 48 News in Northern Alabama. The Meth Prevention Cookbook – By Roger Lake of the Washington State Narcotics Officer Association. Overcoming Crystal Meth Addiction: An Essential Guide to Getting Clean – By M.D. Steven J. Lee M.D. (Amazon USA).